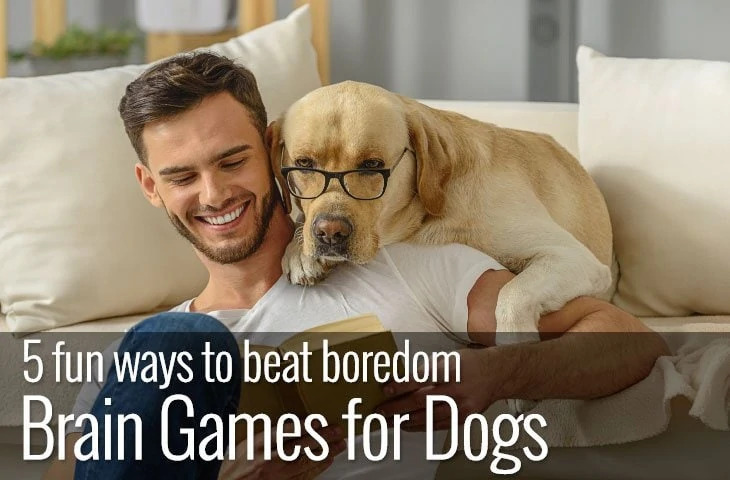 Typically marketed at older dogs who may suffer from sore and stiff joints. Orthopedic dog beds are specifically designed to help ease the pressure on our dog’s joints and bones as they sleep. Usually made with memory foam, orthopedic dogs beds work to distribute your dog’s weight evenly. Offering maximum support and providing optimum body alignment for a restful sleep. Memory foam is also great at retaining heat. So is especially suitable for dogs with arthritis or sore joints as the warmth helps tender muscles to relax. Our top choice is the Pet fusion ultimate lounger but for more options read on. Our dogs spend a lot of time snoozing. However, they are prone to age-related conditions that affect their ability to sleep. Arthritis, stiff joints, loss of muscle and dysplasia all make it more difficult for our dogs to rest comfortably. 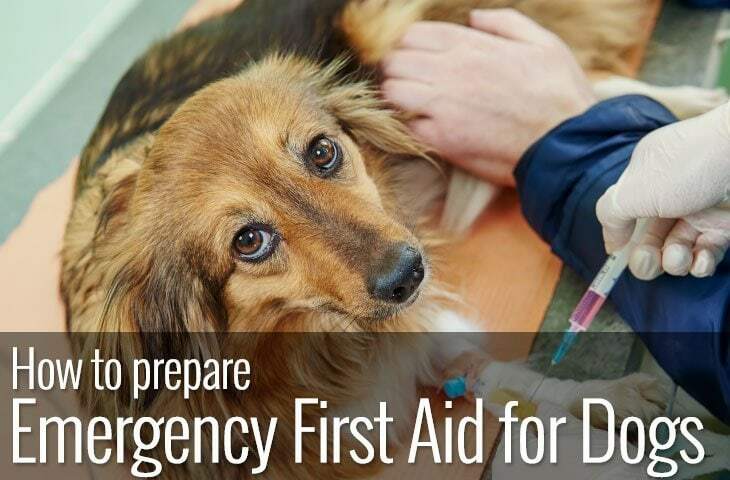 Providing your dog with a comfortable and supportive place to sleep can help alleviate a lot of the pain associated with the above complaints. A good orthopedic bed will distribute your dog’s weight evenly, preventing painful pressure points like elbows and hips and relieve sore muscles. The most important consideration when choosing an orthopedic dog bed is the core. While memory foam is the most common foam used, there is also egg-crate foam and orthopedic foam. Some beds will use a mixture of the foams to provide additional support and temperature control. Whatever the core material, the foam needs to be at least two inches thick to provide adequate support. Bolsters are also a good idea. They provide additional back support if your dog likes to curl up. Not only that but they can act as a barrier to prevent a dog with mobility issues from rolling off the bed as they try to get up. Orthopedic beds come in a variety of shapes and sizes but keep in mind that if your dog is struggling with joint pain, you need to opt for a style that is easy to climb in and out. While a thick foam base is ideal for joints, it poses a challenge for a dog with mobility issues. 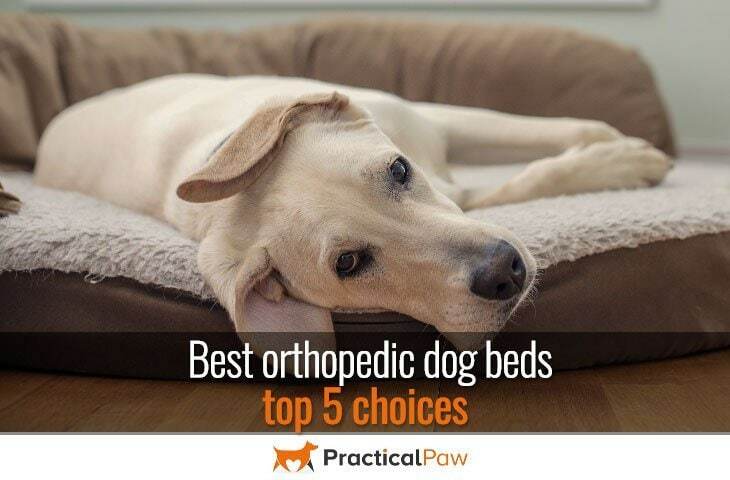 So here are our top choices for the best orthopedic beds. This is a great bed, supportive, easy to access and with bolster cushions around three-quarters of the bed. The memory foam is a generous four inches thick providing fantastic support. The Outer twill material is water resistant, and it has a waterproof inner liner just in case of accidents. The covers are removable for easy cleaning, and the bolster cushions are well filled offering additional comfort. What’s more, it’s available in four sizes and three colors which makes it suitable for most dogs and home décor. This could be a pro as well as a con, but the material attracts hair like a magnet. While it keeps it off your floor, it does mean that you’ll need to clean the bed often. Fantastic bed if your dog likes to stretch out. Comfortable for your dog to access, supportive and available in faux fur or smooth material. It has a waterproof inner lining which is ideal for little accidents. And the covers are machine washable and resistant to mold and dust mites. The four-inch memory foam base includes two-inches of premium, high-density orthopedic memory foam which provides additional support. The cover and waterproof inner are both removable and machine washable making it easy to keep clean. What’s more, you can buy additional covers separately. Which means you can have one in the wash and one on the bed at the same time. Available in four colors trims it comes with a molded headrest for extra comfort. 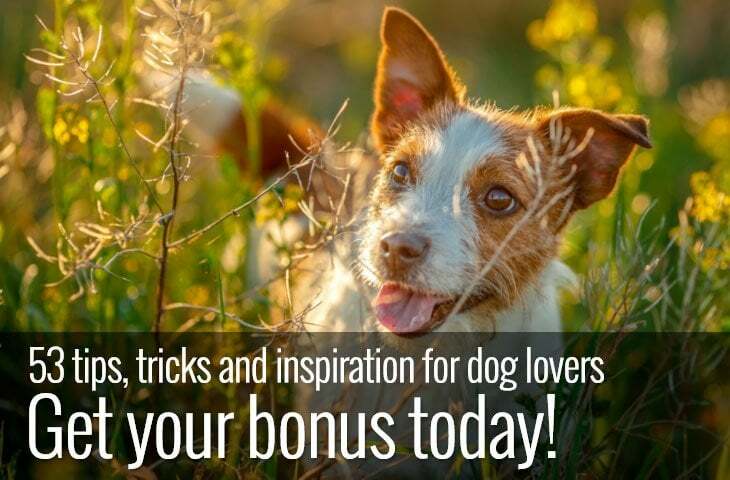 This is a great budget option from FurHaven. The bolster style provides back support and somewhere for your dog to rest their head. What’s more, the deep egg-crate foam base is supportive, easing joints and muscles. Both the bolster and main covers are removable for easy cleaning, and there’s a faux fur sleeping surface to keep your dog nice and warm. Available in four sizes and four colors. This bed is a perfect couch-like space for when your dog is no longer able to jump up with you to watch TV. Large Orthopedic Sleeper: 40" x 30" x 10" - Ideal for Medium to Large size dogs and also great for multiple smaller dogs. Can easily hold up to 100+ lbs and fitted for pets up to 36" in length. This cozy option by Barksbar comes with a solid three and a half inch memory foam base. The bolster cushions offer support on all sides of the bed. The front bolster slightly lower for ease of entry and exit. As you would expect from a good quality bed, the cover is removable for easy cleaning. Not only that but it’s lovely and soft providing a comfortable place for your dog to sleep. The bottom of the bed is non-slip which is useful if the bed is going on hardwood or tile floors. While it may not be the best shape for dogs that like to sleep stretched out, it’s perfect for dog’s that sleep curled into a ball which is why it makes into our top choices. American made orthopedic foam is highest quality you'll find in a dog bed. Won't flatten or pancake over time. This flat bed from Big Barker is ideal for big dogs that like to sleep stretched out. Not only do these beds come in large, extra-large and giant versions, but they also come in four color options too. The orthopedic foam is dense at seven inches. Constructed of two two-inch layers of comfort foam sandwich a three-inch layer of support foam. For large or heavy dogs, it’s ideal providing superior support for those dogs that need it most. Not only that but the foam has an ‘open cell’ construction which means it doesn’t get as hot as memory foam options. The soft microfibre cover is easy to clean. Not only that but it holds up well to dogs that like to dig before they sleep. In fact, Big Barker is so confident in the structure of their bed that they offer a ten-year guarantee that it will keep ninety percent of its shape and support or they will replace it. The height of the foam provides excellent support. However, there isn’t anything to prevent your dog from rolling off as they move in their sleep. A quality orthopedic dog bed is a sound investment. Not only will it help your dog sleep better, but it will also go a long way to ease any stiffness and pain. 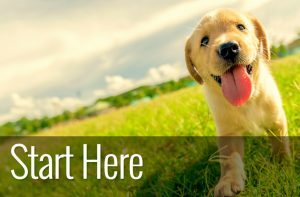 Even if your dog is young and energetic, an orthopedic dog bed can still be of benefit. It can ease tired muscles and keep your dog’s spine properly aligned as they sleep. Our top choice is the Pet Fusion ultimate lounger It offers a generous size sleeping area while benefitting from bolster cushions that provide extra support not only that it’s easy to keep clean and comes with a waterproof liner just in case of any accidents.